On Saturday, our Marching Owls ended their marching season with great success! 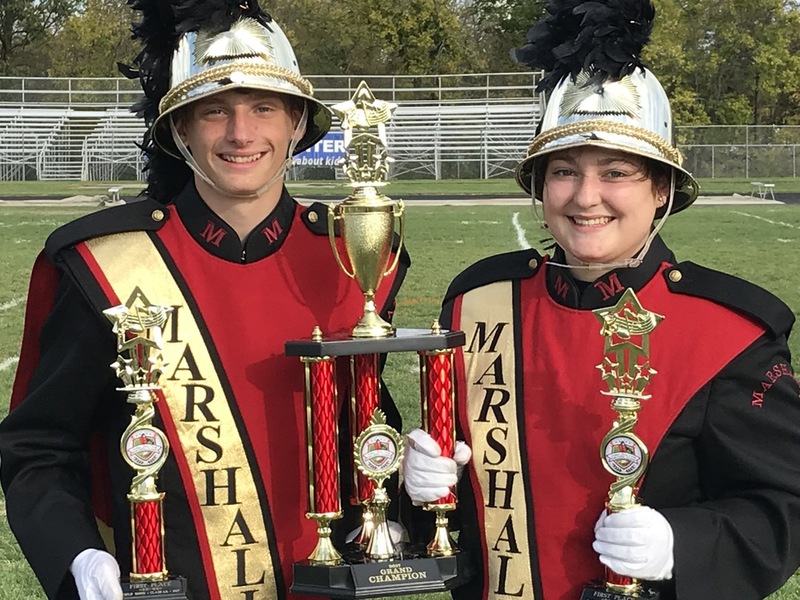 The Marching Owls placed first in both the parade and field show competitions, beating our largest competition Mexico High School, which is a 100 piece band. The band was also crowned as GRAND CHAMPIONS of the entire festival! The band started preparing for this marching season back in July and they have worked tirelessly to prove that ATTITUDE + EFFORT = ACHIEVEMENT. When you see a band member, please congratulate them! There is a picture of the drum majors after they accepted out awards if you are interested.